Laigh Kirk. 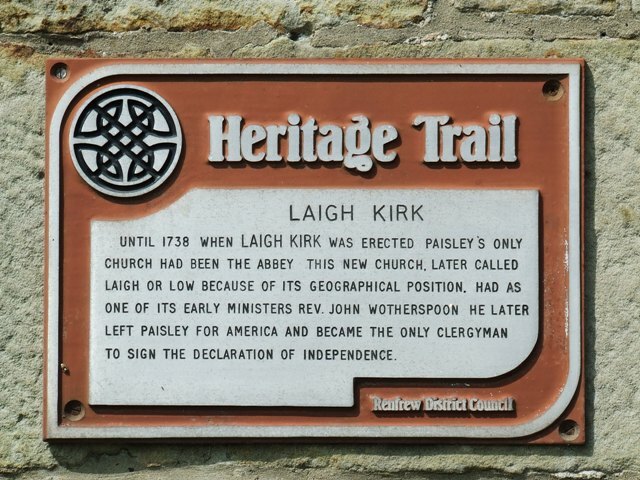 Until 1738 when Laigh Kirk was erected Paisley's only church had been the Abbey. This new church, later called Laigh or Low because of its geographical position, had as one of its early ministers Rev. John Witherspoon. 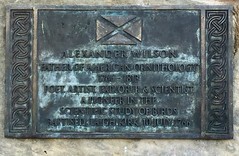 He later left Paisley for America and became the only clergyman to sign the Declaration of Independence.